People who grew up in the 1950s agree that the world is a very different place now. Back then, children walked to school with their friends, no worry about having a parent chaperone them. A trip to the corner store for candy or comic books was also a casual affair. 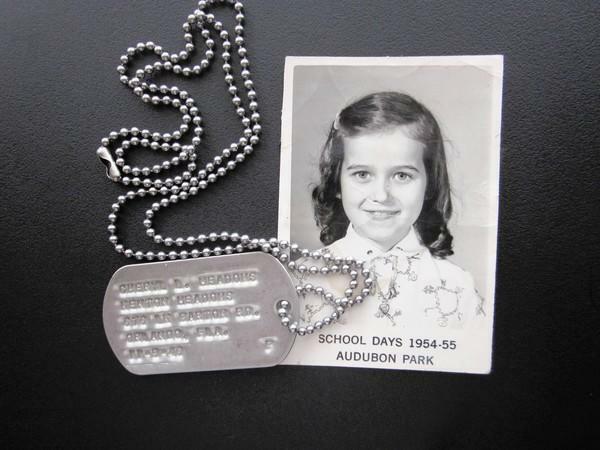 But, because of the threat of nuclear war, young students wore dog tags issued by their school. 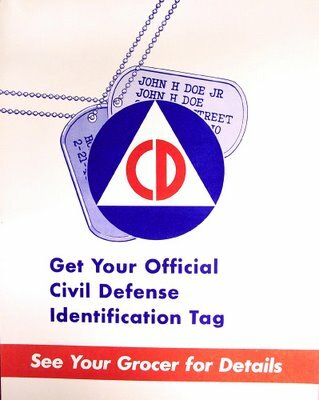 Referred to as “metal identification tags” these civil defense dog tags were issued to students in school districts across the United States, including New York City, Las Vegas, San Francisco, Seattle, and Philadelphia. Check out this sobering video where students in Las Vegas are asked to speak to the press about the issuing of dog tags to students and why they’re important. At the end, a young boy speaks about how they will help soldiers identify his body. Chilling. New York City’s public school system was the first to issue the “identification tags” in February 1952, spending $159,000 to provide them to 2.5 million students. They were instructed to wear them at all times as if they were soldiers in a daily battle against the Soviet Union. Educators also considered other ways to identify the children, including tattoos, identification cards, and fingerprinting all the children. At the time, fingerprinting was considered a terrible infringement of privacy, and worries about destroyed ID cards and illegible tattoos from burnt skin meant the metal tags were the best choice. 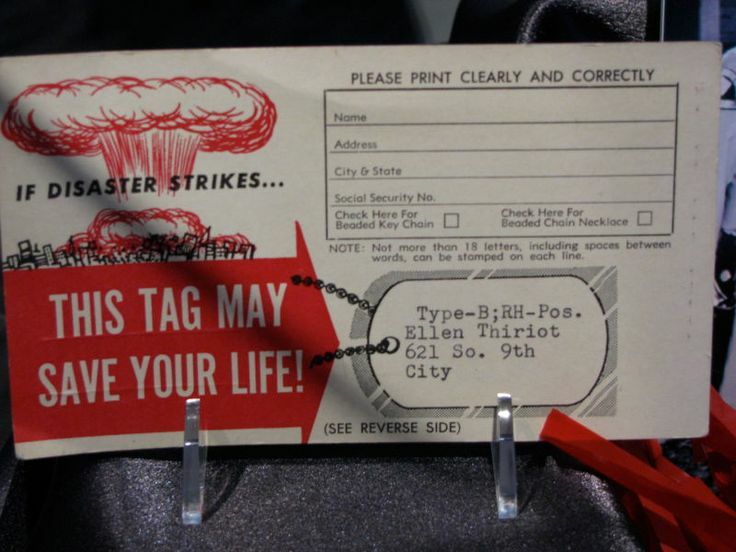 For adults reminiscing on their childhood, these tags are a bizarre artifact of typical daily life in the 1950s. 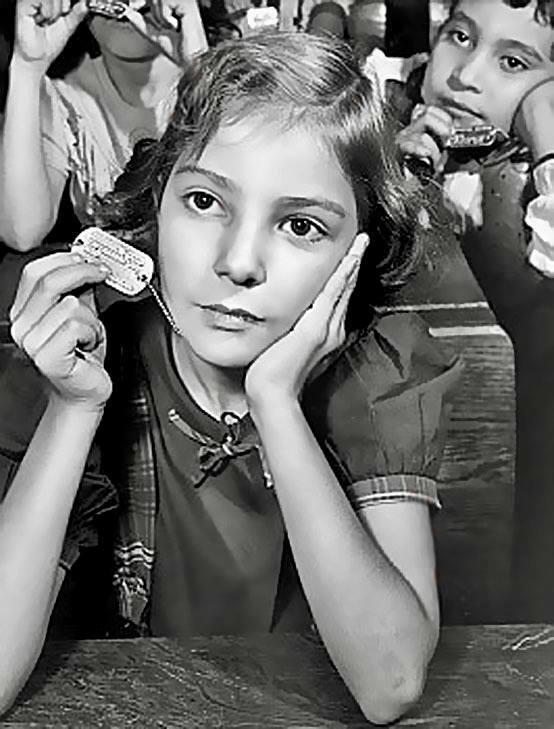 While many of these children didn’t understand the full ramifications of regular “duck and cover” drills and wearing these dog tags, it’s a chilling reminder of how much fear and paranoia was a regular part of 1950s American life. Even adults and students in other parts of the country had opportunities to get their own metal identification tags. You could mail order them or even see your grocer to secure your pair.